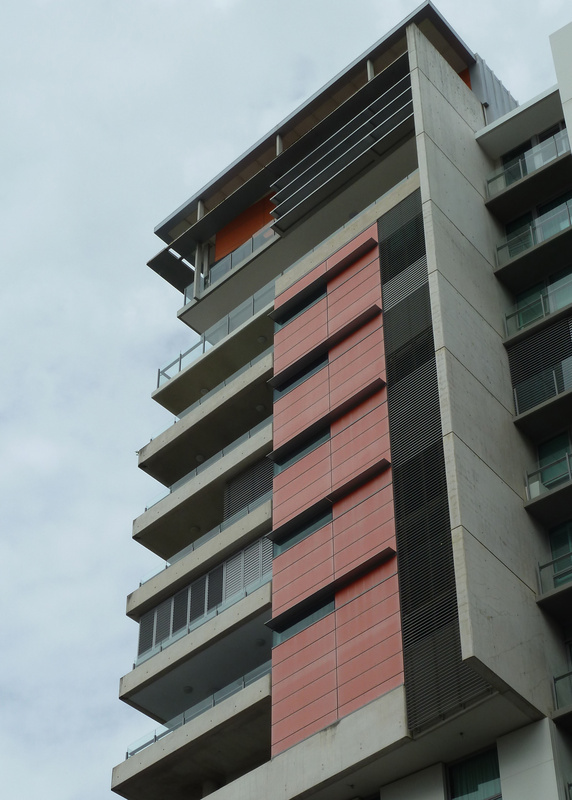 Ferm Engineering and partners have developed a 3-step assessment process for risk reporting of Aluminium Composite Panel (ACP) or Aluminium Composite Material (ACM) cladding system to meet State legislative requirements and the disclosure necessary for the insurance policies of building owners. 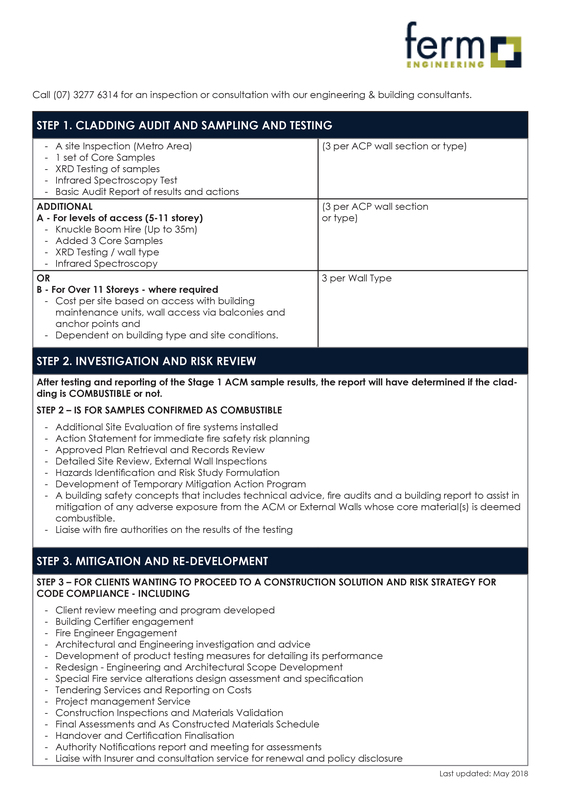 The staged ACP cladding assessment structure is for a 3-step evaluation process, which includes chain of custody review. Three ACM small 50mm samples will be taken from each section of wall cladding suspected ACM type to determine the composition of its core material for combustibility. The sample groups are processed by partner test agencies to understand the fire risk potential. Extensive consultation with the Insurance industry, Government agencies and legal process, the following guide outlines our methods for this important fire safety issue.